Familiy Mussner’s Ciavaz Hut is in an idyllic position between the mountains Sassolungo and Gruppo del Sella. 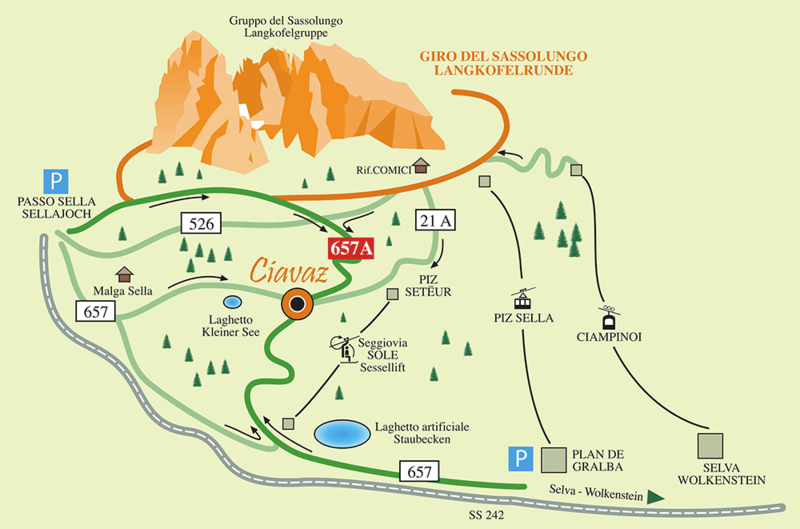 You find us in the middle of the around the Sassolungo between the Comici Hut and the Passo Sella. From Plan de Gralba you can find us in about 45 minutes by walk or from the Passo Sella in about 25 minutes by walk.